We are indigenous Tojolabales, campesinos and campesinas who work the land, ejiditarios, men, women, and children of the ejido Guadalupe Victoria municipality of Altamirano Chiapas. On the 2nd May, we publicly denounced what happened on 26th April, when ex-ejiditarios took possession [of land] in our ejido. On 4th May, at 8 in the morning, all of the ejiditarios and their children went to tell the ex-ejiditarios to leave in a peaceful manner, without aggression, where they were in possession of the land. They said to us that they weren’t there to stay, just to press the government and at five in the afternoon of that same day, they left. However, we heard them say that when we leave to go the city any of our ejiditarios they find would be attacked. They also said they are greatly supported by the government along with the organization CIOAC that belongs to C. Gerardo Perez Agueda. 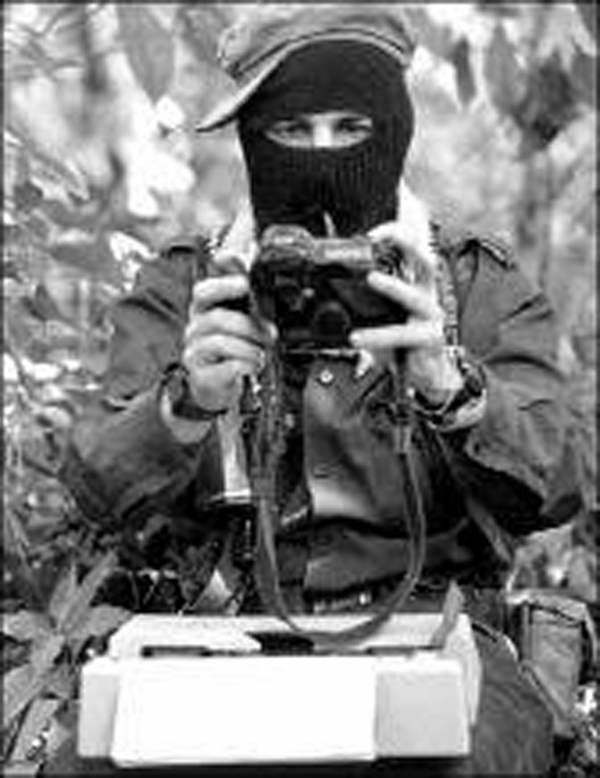 Om 3rd May, 1994, the ex-ejiditarios decided to voluntarily abandon the ejido in fear of the armed conflict of the EZLN because they were very close with the caciques who commanded in the ejido. Respect for our autonomy and self-determination as indigenous Tojolabal peoples as well as respect for our internal rules of procedure as an ejido. The land is worked and defended!